Leveraging the various opportunities available to African music stakeholders in a global Village will be the core discussion at the upcoming 2018 AFRICA MUSIC BUSINESS SUBMIT at the 5th AFRIMA – Ghana 2018 holding at Kempinski Hotel Gold Coast, Accra, from 8.30am to 4.30pm on Thursday, Novembe r 22nd, 2018. The annual AFRICA MUSIC BUSINESS SUMMIT at the AFRIMA is a panel discussion and a master class platform to interrogate, strategise and charting ways for the African talents and business of music in Africa. AMBS is a platform for business networking and interaction among key players in the industry. 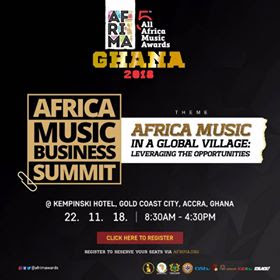 Expected participants are African Artistes, Music Professionals, Music Executives, Policy Makers and Government officials, African Union Officials, Publishing Companies, Record label Owners, Finance Sector, Music Associations, Arts and Culture Gurus, Media Owners and Executives and other stakeholders in the African music. 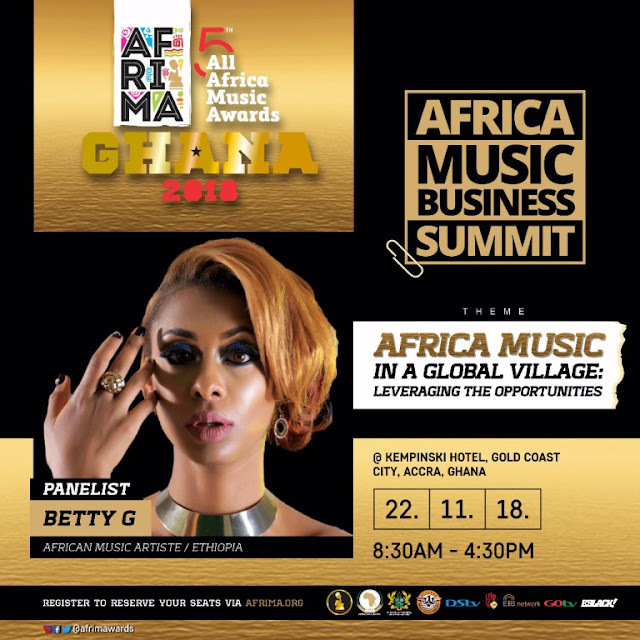 The annual Africa Music Business Summit is part of the line-up activities for AFRIMA, November 21st – 24th. 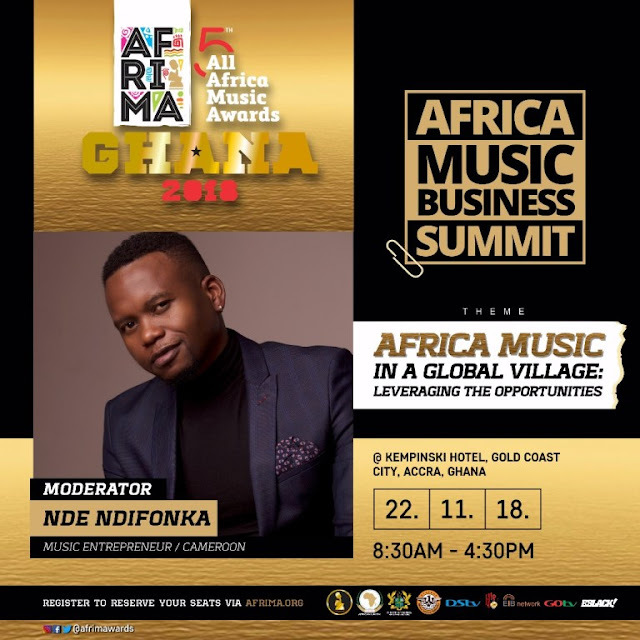 Join the conversation at the Biggest Music Summit in Africa. Yvonne Chaka Chaka, dubbed the “Princess of Africa” , is an internationally recognised South African singer, songwriter, entrepreneur, humanitarian and teacher. 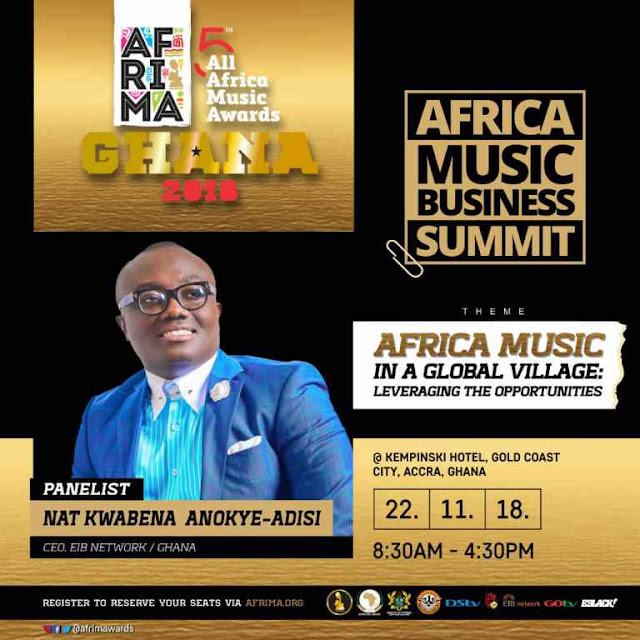 Nathan Kwabena Anokye-Adisi, @TheRealBolaRay is one of Ghana’s most renowned personalities pioneering radio and television and is one of the nation’s foremost authorities in media management. Bruktawit Getahun (aka Betty G) is one of the biggest artiste to reckon with on the African continent, with several international recognition and awards. 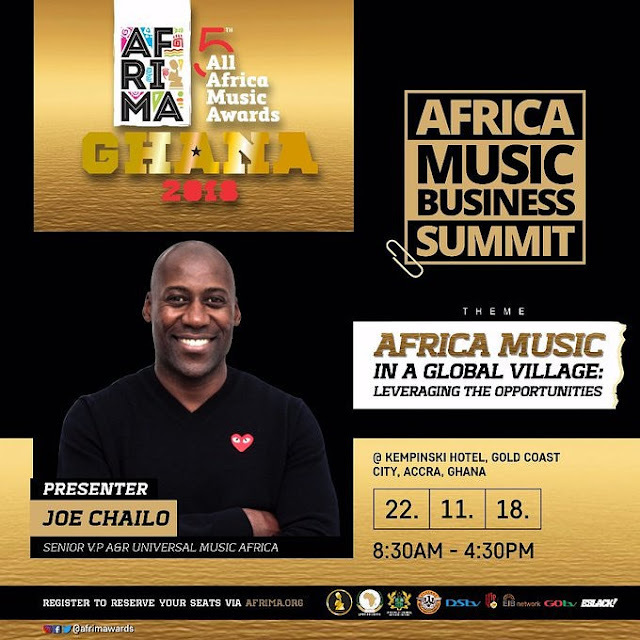 JOE CHIALO is the Senior Vice President A&R Universal Music Central Europe & Africa. He is the Managing Director of Airforce1 Records. 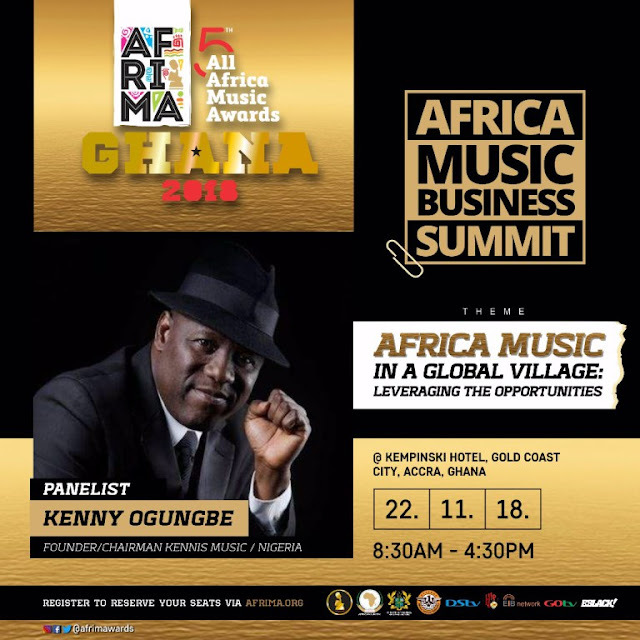 Kenny Ogungbe @kennyogungbe is a Nigerian music producer, music executive and a multiple award winning radio and TV broadcaster. Nde Ndifonka (a.k.a Wax Dey) is a Cameroonian singer, writer, entrepreneur and activist. He won Best Male Artist, Central Africa at the All Africa Music Awards in Lagos in November 2016.